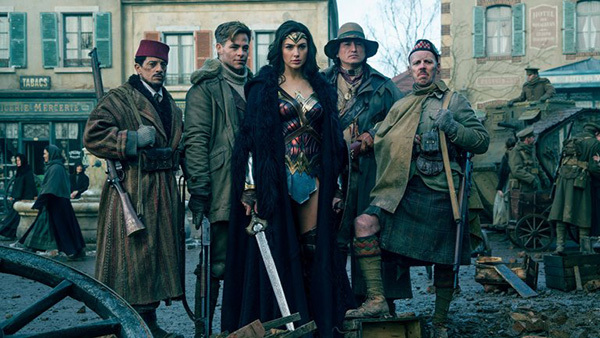 Less than a month after its release, Patty Jenkins’ movie has grossed over $430 million at the box office. It boasts a 92% on Rotten Tomatoes, is the best film debut for a female director in movie history, and the trailer, which was uploaded to YouTube less than 30 days before the premiere, has been viewed over 10 million times. But what I loved most about “Wonder Woman” wasn’t the way it continues to destroy records. I loved how, unlike most superhero movies, “Wonder Woman” triumphs because it maintains character consistency. 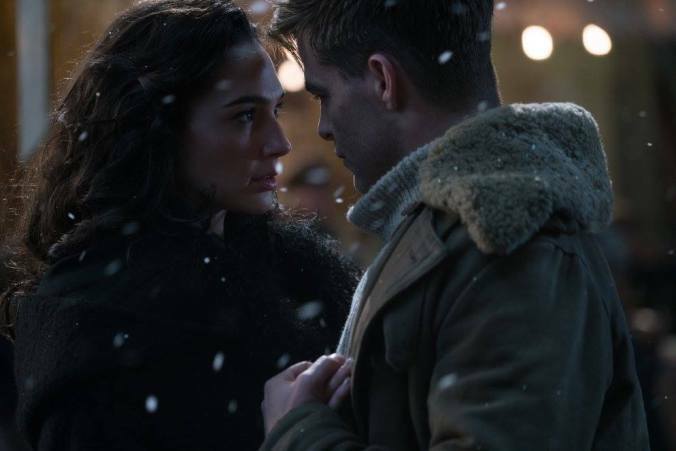 Gal Godot plays the Amazonian princess/demi goddess, Diana (Wonder Woman), who travels from her home, Themyscira, to 1918 London after an American pilot and spy, played by Chris Pine, crashes near the island and brings news of the war to end all wars. Diana, having been told from a very young age that it is the duty of the Amazon’s to protect mankind from the God of War, believes she can save the world by destroying Ares. My favorite scene in “Wonder Woman” took place at the front. Diana, Steve Trevor, and their gang of misfit rebels are simply crossing through, intent on pushing forward to where the poisonous gas is being manufactured behind enemy lines in Belgium. But upon speaking with a distraught woman from a nearby town, Diana can’t stand by while the Germans fire on innocent people. She dons the Wonder Woman tiara, sheds her cloak, and climbs up and out of the bunker. During one viewing of the movie I attended, someone in the theater actually cheered when she started climbing the ladder. It took me a second viewing to understand why this particular scene captivated me and the explanation requires analysis of Diana’s character throughout the story and a jump ahead to the end of the movie. (Warning, there are spoilers ahead). As a child, Diana idolizes the female strength she sees in her fellow Amazon warriors, and she grows up believing that mankind is good and requires saving from Ares, who corrupts and causes war. She believes, steadfastly, that if she defeats Ares, the war will end and peace will be restored. While her insistence that Ares exists and she alone can defeat him are sometimes portrayed as comical to the audience and her fellow characters, that insistence shows consistency of character. Upon arriving on Earth and seeing the extent of the war, she is only more sure of what she already believes. That belief carries her to the movie’s third act. Having found and killed the man she wholeheartedly believed to be Ares, General Ludendorff, Diana looks around, only to find that despite his death, the war is carrying on around her. She is devastated. When you believe something as wholeheartedly as she believed Ares’ death would bring peace, it shakes you to your core. Because this fundamental belief proved false, everything Diana knows comes into question — the nature of mankind, her role in saving the world, even her ability to do so. In the pivotal moment immediately after Ludendorff’s death, Steve rushes to find her and confronts her about what needs to be done to actually stop the war, but Diana is insistent. Diana refuses to go with Steve. And though in that moment she didn’t make the right decision, it was a moment of truth given what her character was experiencing at the time. So many superhero movies feature accidental, reluctant, or begrudging superheroes. They are pulled into battles they don’t want to be involved in, fighting for things it’s not clear they believe in at all. After a moment like this one, those characters would do the right thing. But their characters aren’t consistent throughout the course of a single story and they rarely stand for anything. Wonder Woman is the exact opposite. She is a purposeful superhero, and the story itself stays true to her character. Everything that happens over the course of the movie is in line with Diana’s character, whose personality is made clear from the start. That’s not to say she doesn’t change — she does. But it is the events of the story that force her to abandon what she previously believed was true and fight for what she now knows is truth. Compare other superhero moments to that scene at the front, when Diana ignores everyone around her and walks toward danger. It’s the first of many scenes in which she stands up for what she believes, for what she knows to be true. When I see Diana walk, unafraid, across the battlefield, it moves me because of what the act itself stands for and what it says about her character. She’s so sure of herself that she is able to walk without hesitation toward the enemy. She’s so sure of her beliefs that she purposefully makes a statement. In a way, the movie itself does the same thing.